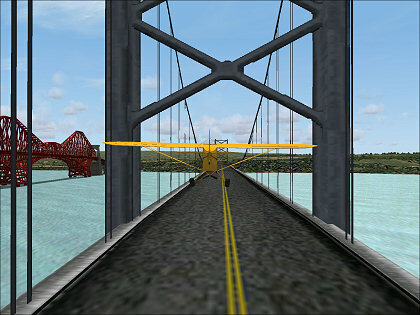 Flying over the Firth of Forth, which is just north of the airport at Edinburgh, Scotland (listed under United Kingdom). 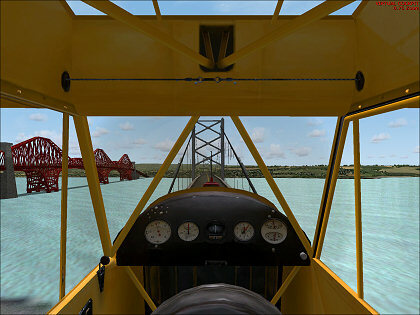 There are two bridges: the Forth Bridge, a massive cantilever railroad bridge built in 1890, and the Forth Road Bridge, a suspension bridge built in 1964. 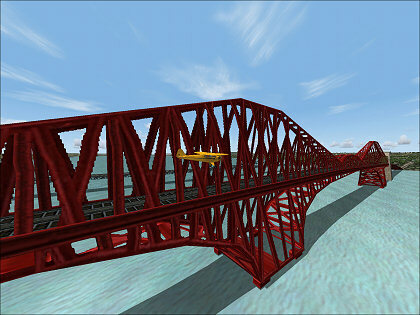 Both bridges are rendered fairly well. 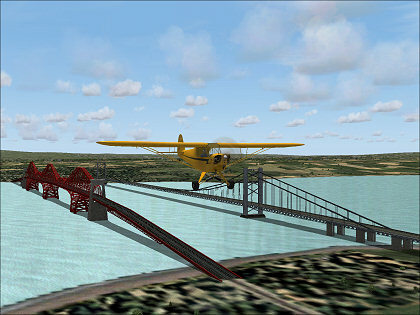 The highway bridge is wide enough to fly across, but the railroad bridge is too narrow. 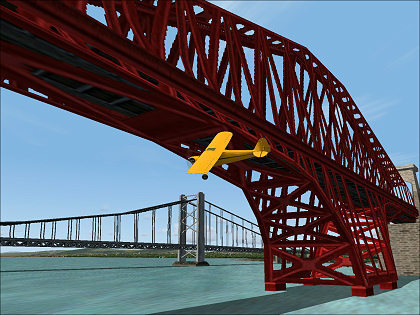 Incidentally, in Flight Simulator, bridge decking is not rendered as a solid surface, so you can't land on bridges. If you try to touch down, you'll sink right through the surface like it isn't there. You can click on the right-hand picture to enlarge it; use your browser's "back" command to return.